Face masks are the perfect fast fix for any skin concern. Unexpected breakouts? There’s a mask for that. Need some hydration? There’s a mask for that too. But what about when you’re suffering from multiple skin concerns? Or when your skin simply needs a bit of a reboot? 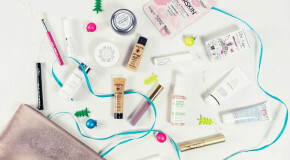 As a beauty writer I’m ever sceptical of products that claim to ‘do-it-all’; I’ve used many a multi-tasking product that allegedly provides what all of your products can in a single step (and more), and they very rarely live up to the hype. 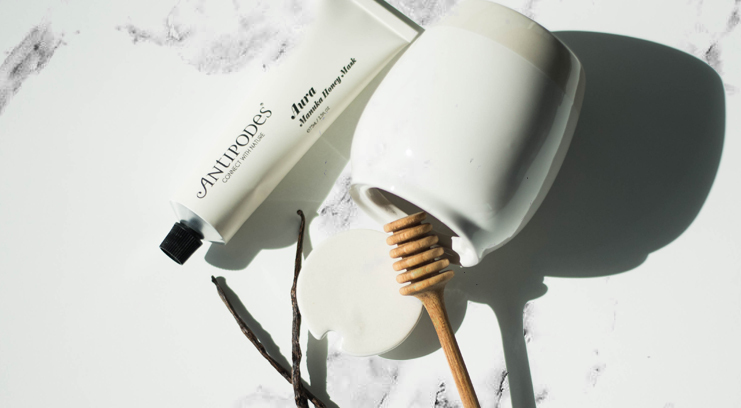 There are a few exceptions however, and Antipodes’ Aura Manuka Honey Mask is one of them. It’s particularly appropriate at this time of year, when the change in seasons wreaks havoc upon my skin – drying it out, but at the same time triggering breakouts. It’s a common beauty dilemma, and one which can’t be easily remedied with a targeted treatment; clay-based masks may cure the breakouts, but they’ll worsen dry skin, and hydrating masks will likely serve to clog pores and cause more breakouts. 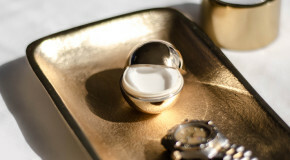 My skin has been having frequent mood-swings lately, and on days when it’s feeling particularly turbulent – think dry skin on cheeks, oily patch on forehead, breakouts in all the worse places(! ), this mask is a lifesaver. It’s a cocktail of all-natural, nutritious ingredients – including vanilla, mandarin, avocado, and coconut – which, as you can imagine, smells incredible. The star ingredient is antibacterial manuka honey, which has the ability to draw moisture to the skin for an instant hydration boost, whilst simultaneously cleansing skin and treating blemishes. Sound too good to be true? Well let me tell you, it really really works.